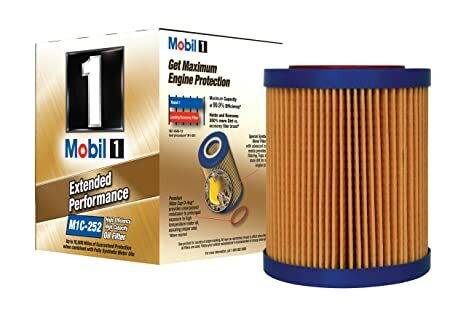 Liquimoly 5w-40 synthetic w/Mann or Mahle filter. When I switched from the Castrol 5w-30, the engine noises quieted by quite a bit. Wish I'd have measured dB pre/post oil change so I had quantitative data (albeit a very small sample size...). I like the 5L jugs the oil comes in. Anybody who uses any other oil in their X5 is a different person than me. Mobil 1 0W40 in all my BMW'S, the engines are clean and sludge free when I changed the valve cover gaskets. It's cheap at Walmart $23 for a 5 quart jug. I only Use Mahle Fliters. Oil changed every 5000 Miles. Been using BMW high perf oil 5w30 (6k oil change intervals) since the new car warranty fell off way back in 2008. Until recently she's been consuming too much oil and heavy smoking after extended idle. Then I recently switched to Mobil1 10w40 high mileage full synthetic oil and, voilà, significant reduction in oil consumption and no smoke! I'm not going to spend the car's value to properly fix the smoke issue (valve stem seals and valve guides), no way as long as she runs and performs fine! Last edited by X5only; 08-18-2015 at 07:26 PM. I just get the oil from the dealer. 5W-30 and a filter. Price wise I estimated it a long time ago and dealer prices for oil and filter are actually pretty close if not the same, most of the time, to off-brands. Knowing how "particular" BMW's are... and with my 270-some-K miles I prefer not to risk it. "Hey, Now that's what I'm talkin' about, Jack!" I'm due for a change and was planning to get high mileage Mobil1 5w30. I see many are using 0W40 - I can never remember - which is better for winter? I've been using Mobil 1 0W-40 forever. The 0W will be thinner than the 5W in winter weather, which is what you want for cold start protection. I've been using Amsoil 10W-40 for over 25 years in all my vehicles in the northern cold areas as well as Texas and Florida. Very good starting and engine internals protection performance. Amsoil also gives me as much as 25,000 miles or one year service life with their filters. Some vehicles and years I have taken the oil that distance and all was well with the engines. Our current E53 and E46 and E90 Mann filters are not made in an Amsoil version so I change those at about 8,000 miles and I'll go 18 months or so on the Amsoil with Mann filter changes at about every 8K miles. Oil is guaranteed for 15000 Miles, I do an oil change every 6 months or prior to winter and prior to summer. If you do an oil change every 10.000 miles your oil will still be good since it is made for 15000 miles. Redline for the diffs, Royal Purple for the trans.